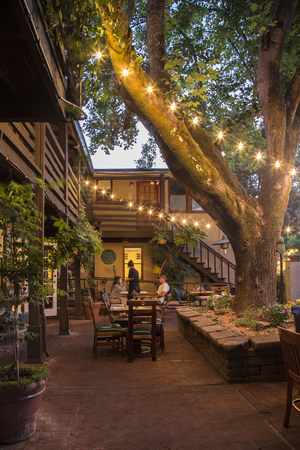 Our patio has been a gathering focal point, in the town of Forestville, for over 125 years. From a train depot, to a brothel, to a pattern shop and now Backyard's home. Come enjoy the west county night's with us and see why this patio keeps bringing people back. Did you know we make tacos? How about our New Haven style pizza? Ever try our buffalo sauce on chicken fried cauliflower? You never know what the chefs will be creating on Monday nights, but trust us, you wont want to miss it. From 5:30pm - 9:00pm we feature live music from local artists.